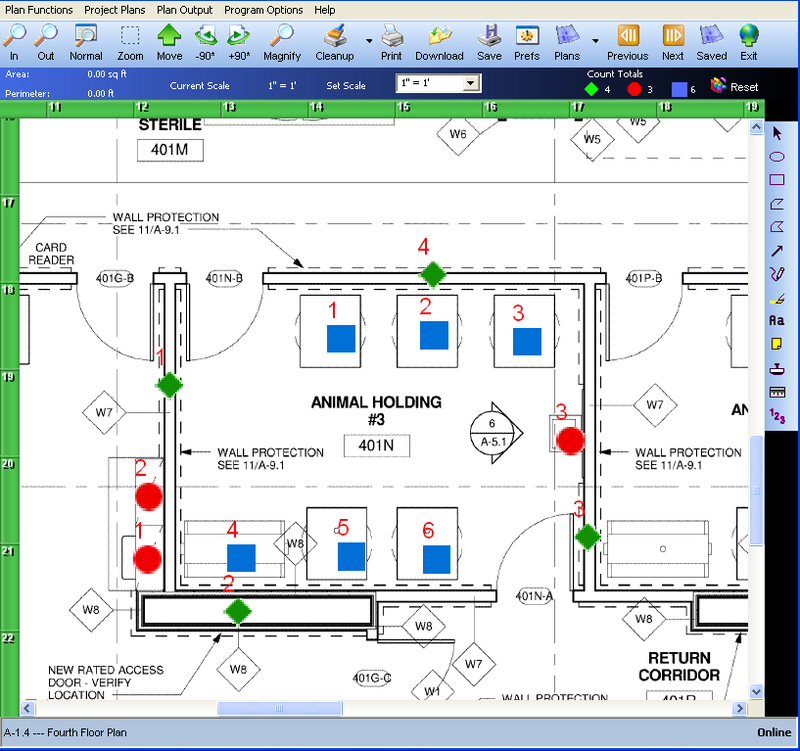 Arrow Tool: Place an arrow on the plan. Changed the direction of an arrow that has already been placed by clicking and dragging the white squares at point 1 or 2. 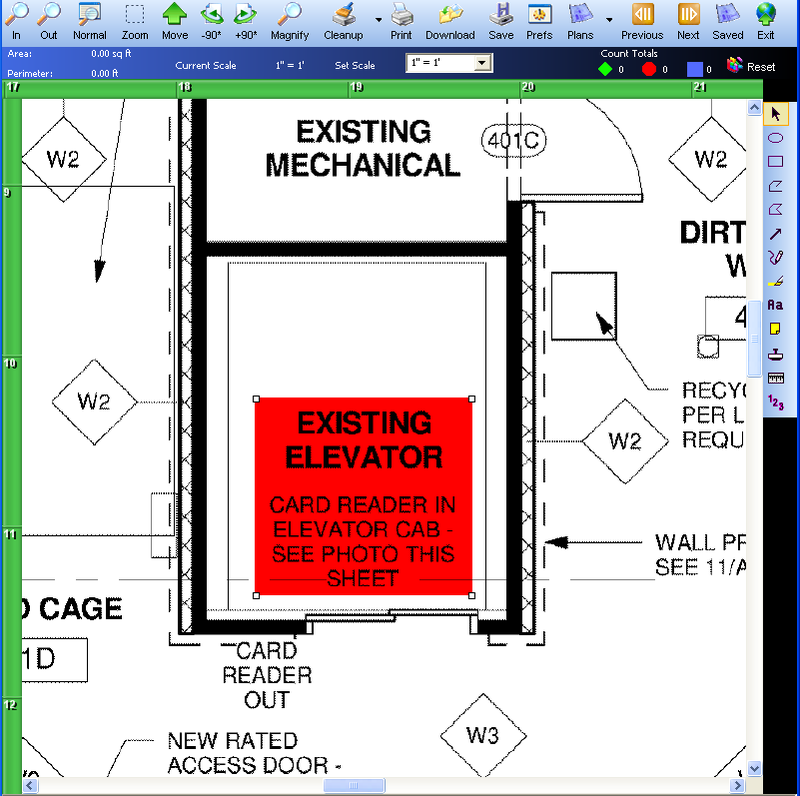 Freehand Tool: Markup the drawing however you see fit. 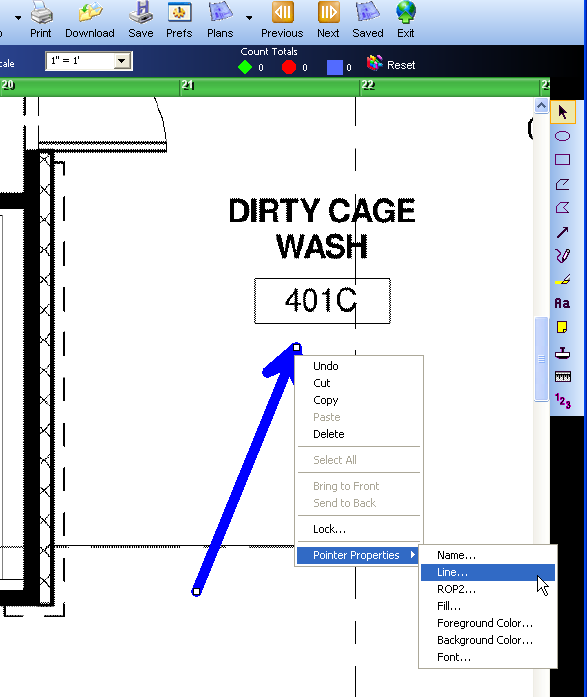 Once again, right clicking will bring up a properties menu where you can adjust the line width and the foreground color. Hilite Tool: Add a transparent, four-sided figure over an area to highlight it. 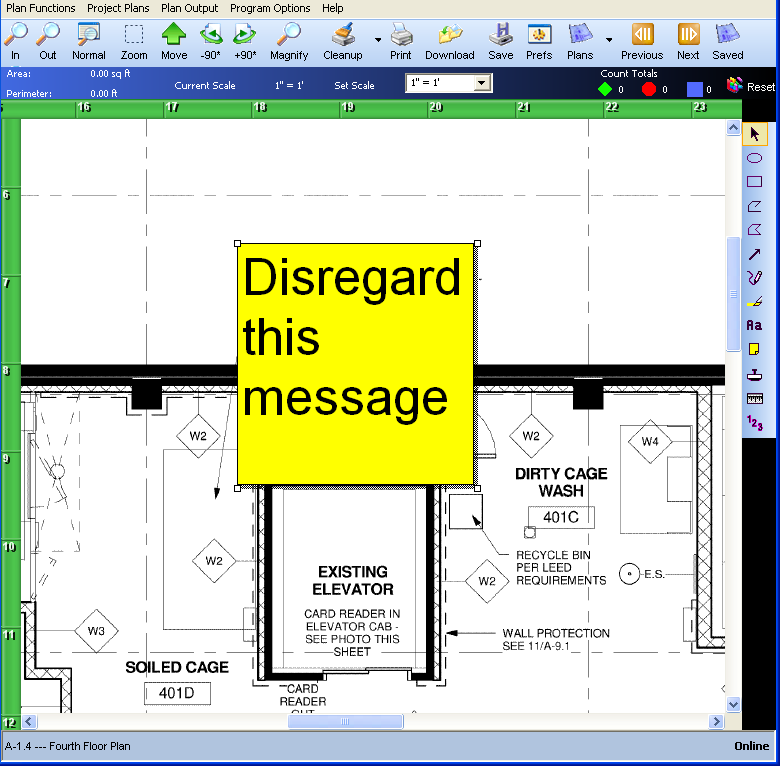 Text Tool: Add text to the plan. 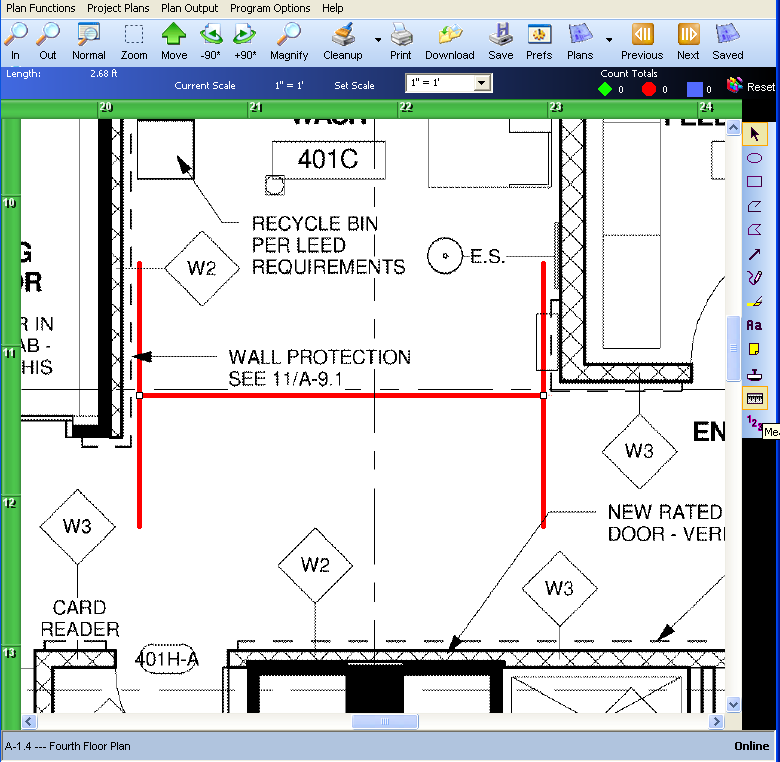 Post It Note: Add a note on top of an area of the plan. The Post It Note can be placed by left-clicking and dragging a square or rectangle over the area you would like to place the note. 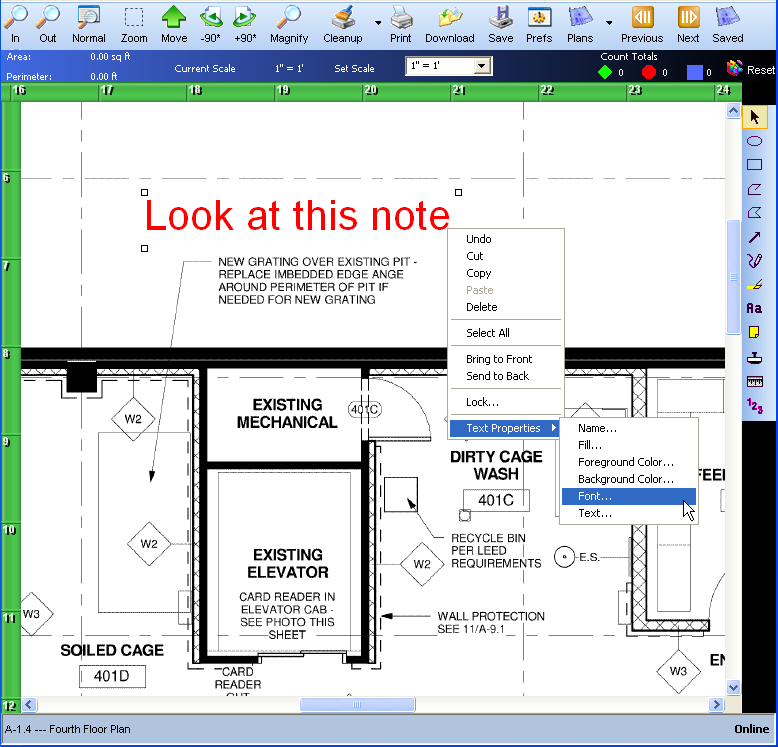 Once the note has been placed, text can be added to the note. This note is not transparent. 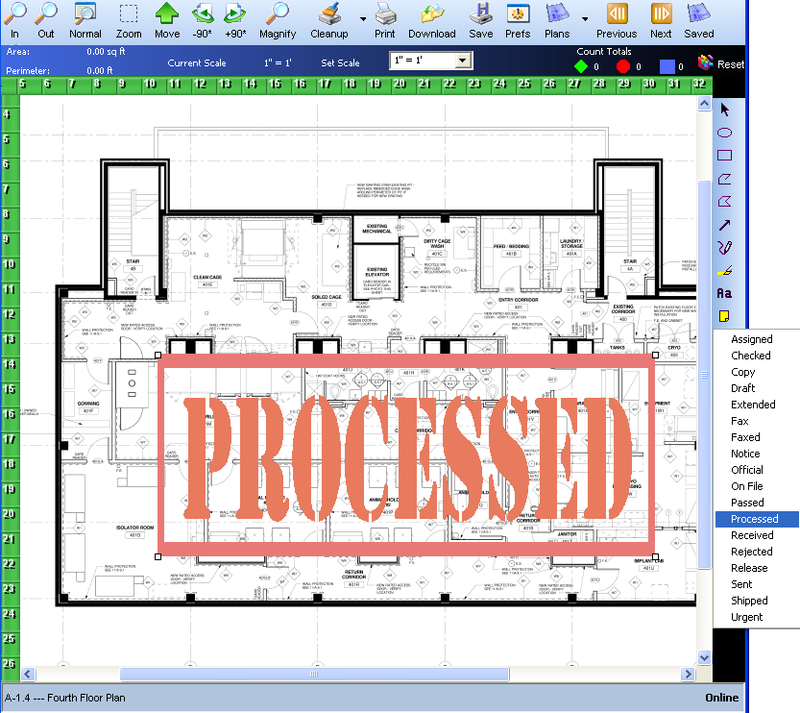 Stamp Tool : Place pre-defined stamps on the plan. 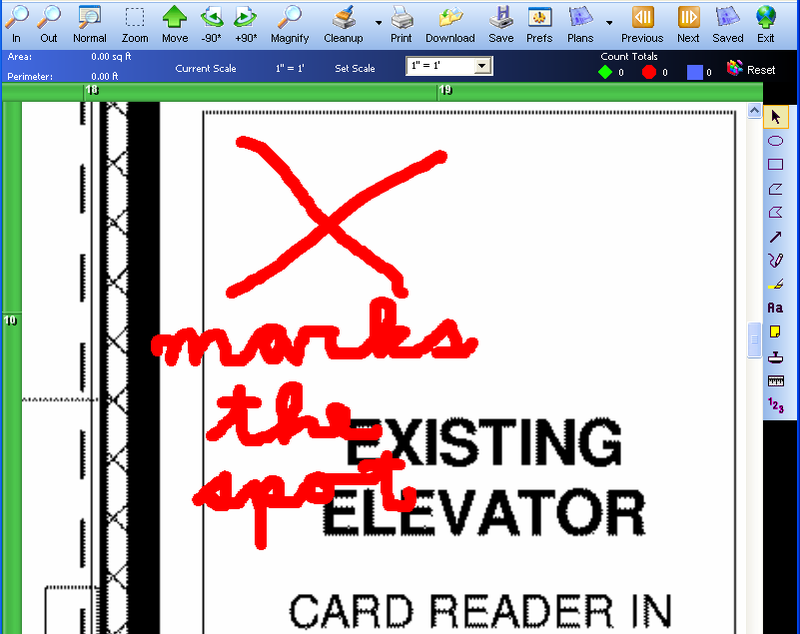 Left clicking on the stamp tool icon will bring up a list of 18 pre-defined “stamps” that can be placed anywhere on the drawing. The stamps include: assigned, checked, copy, draft, extended, fax, faxed, notice, official, on file, passed, processed, received, rejected, release, sent, shipped, and urgent. 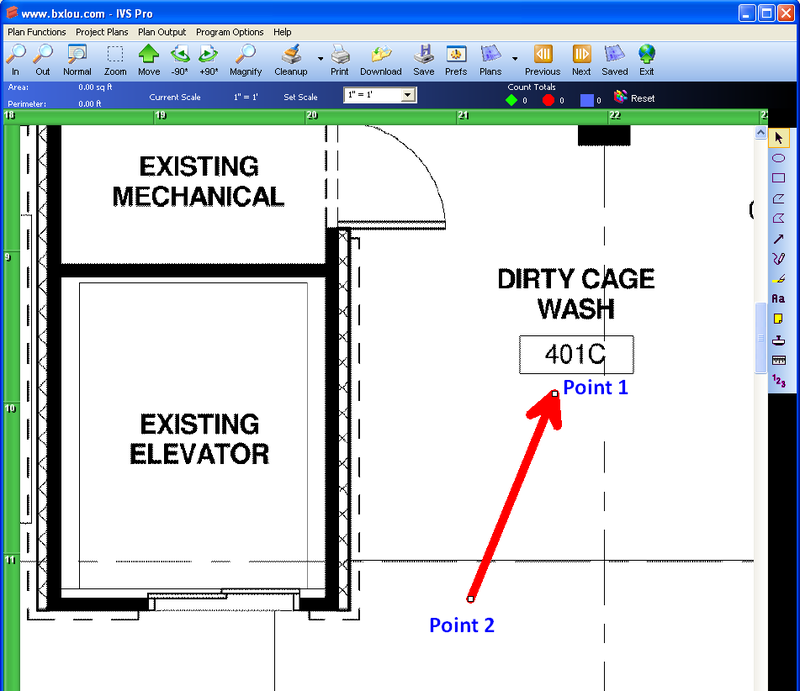 Left click and hold to magnify the spot where you want to place Point A and let go when you are above it. A line will follow your cursor to Point B. Place Point B by left-clicking and holding to magnify and then releasing over the spot where you would like to place Point B. After the line is placed, the length of the line will appear in the upper left corner of the viewer. This length corresponds with the chosen scale. Count Tool: Mark and keep count of up to three different items on a plan. Left-clicking on the Count tool provides three options: a square, a circle, and a diamond. After selecting one of these three symbols, left click on each item you wish to count. This places either a blue square, red circle, or green diamond over each item counted along with a number count above the shape. Delete any individual shape and the count for the remaining shapes will automatically adjust for the deletion (for example, deleting blue square #5 above would instantly re-number blue square #6 into #5). All of the counts can be instantly removed by clicking on the “Reset” button to right of the count totals. Master these tools and you’ll be permanently trading your pad and paper for a mouse and keyboard!